** Print on Order** Can take up to 10 business days to ship. Written for engineers, operators, and maintenance technicians in the power generation, oil, chemical, paper and other processing industries, The Valve Primer provides a basic knowledge of valve types and designs, materials used to make valves, where various designs should and should not be used, factors to consider in specifying a valve for a specific application, how to calculate flow through valves, and valve maintenance and repair. If you are involved in valve selection, specification, procurement, inspection, troubleshooting or repair, you will find a wealth of information in The Valve Primer. • Presents information on a wide variety of valves and explains the operational basics of the thousands of valves that are found in power stations, refineries, plants and mills throughout the world. 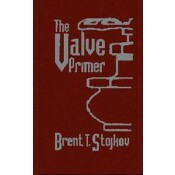 • Includes over fifty illustrations depicting various valve types and how they operate. • Contains valuable information the cannot be found in any other single source.